The COPD community lost Vlady Rozenbaum, Ph.D., a beloved advocate and educator, on October 17, 2015. The founder of COPD Alert, a comprehensive online resource, Vlady made it his mission to educate and empower patients and professionals alike.For the past several years, Vlady was a regular participant in seminars, advocacy efforts, educational events, and professional conferences across the globe. Along with COPD Alert, Vlady served in many capacities with the COPD Foundation, most recently serving on the Coaches Corner and COPD Patient-Powered Research Networkcommittees. Vlady was born in the Soviet Union during World War II, later moving to Poland. While in Poland, he attended Warsaw University studying English and Linguistics, writing translations for the U.S. Department of Commerce. In 1969, he and his wife Rita immigrated to the United States as political refugees, where he took graduate courses in political science and history, and obtained a Ph.D. He held several positions with the United States government, retiring in the year 2000. 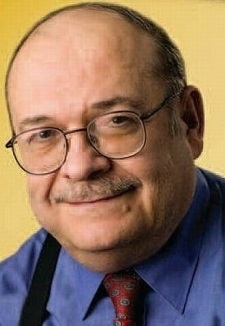 Vlady suffered from various respiratory related problems his entire life, and began educating himself in respiratory medicine after his COPD diagnosis in1980. In the years following, he researched COPD by joining the few online groups that were available during the time, and attended seminars and conferences to speak with other patients and professionals. Over time, Vlady became a patient authority in disease management, the importance of pulmonary rehabilitation, and the various medications and technologies used in the treatment of COPD. His founding of COPD Alert highlighted the depth of his knowledge and passionate support to the COPD community he so loved. In Vlady the COPD community found a hero and a voice. The words he spoke, the efforts he made, and the passion he gave so freely will continue to influence generations to come. In the future just as in past days, his name will be remembered and his presence missed, not only by those with COPD but the professionals who also looked up to Vlady. We at the COPD Foundation extend our sincere sympathies to Vlady’s beloved wife Rita, his family, and countless friends. Per Rita Rozenbaum, donations in Vlady’s honor may be made to the COPD Foundation.